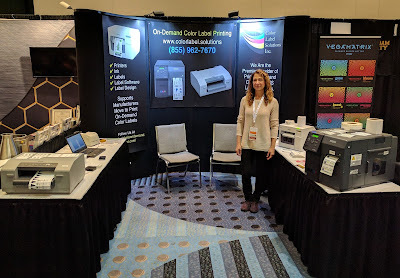 On January 31st and February 1st, 2017, we exhibited at the Seed To Sale Show (http://www.seedtosaleshow.com/denver-2017/) in Denver, CO; the national show focused on innovative best practices, science, and cutting edge technology in cultivation, processing, and sales strategies for the cannabis market. Over 2,000 people attended; and many came to our booth. 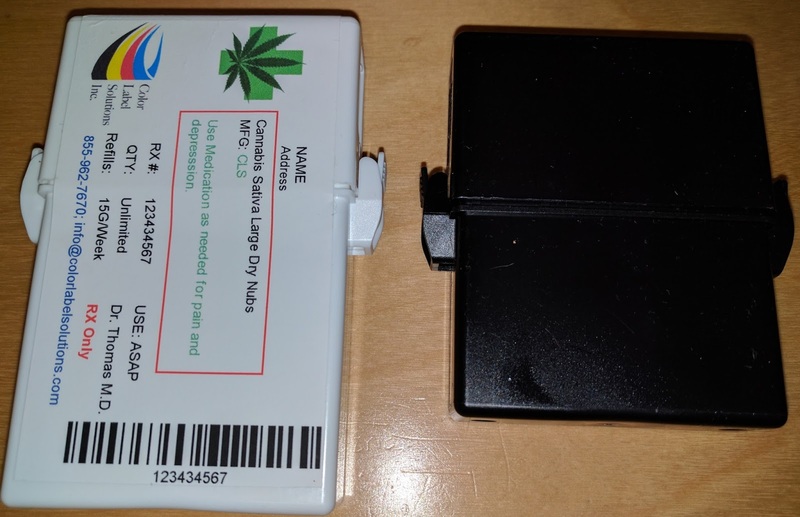 During this event, we demonstrated several technologies, some of which are new, that fit the cannabis market. I’d like to recap the technologies we showed. During the show, the C7500G received the most interest; especially the great-looking labels we were printing on gloss poly. This label looks beautiful; in large part by the designer. The C7500 color label printer is quickly becoming the standard label printer for the cannabis industry. 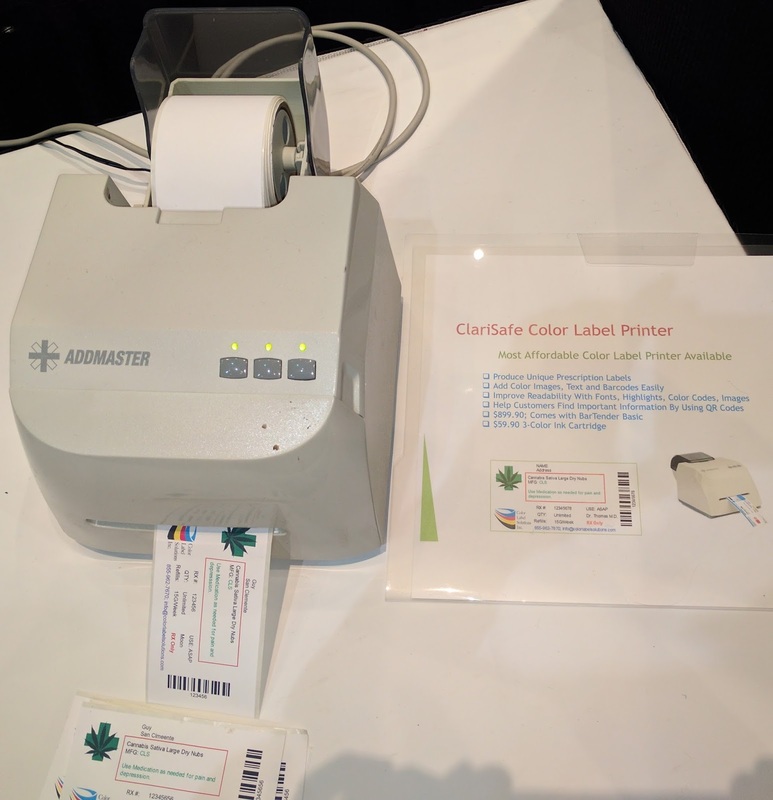 In addition to the C7500, we showed, for the first time, the ClariSafe Dispensing Color Label Printer. At $899.90, the ClariSafe Label printer is affordable; especially given it comes with BarTender Basic for designing and printing labels. 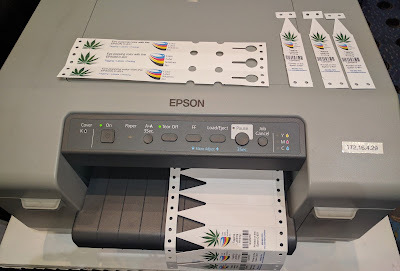 Consider adding the ClariSafe Color Label Printer in your dispensary; your budtenders will love it. 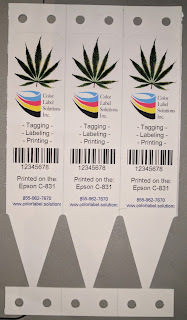 In addition to the new ClariSafe printer, we showed the C831 printing pot stakes and plant wraps in color and on demand. 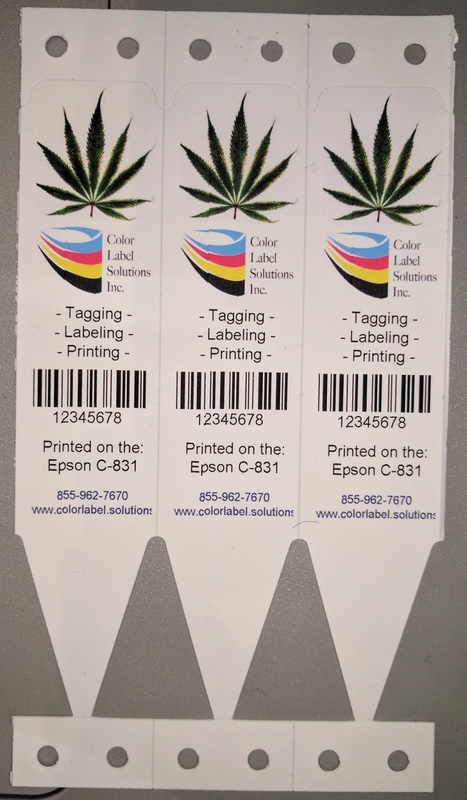 Now you can use color in your growing operations to identify strains or communicate dates, for example. Plus, they stakes and wraps are very durable, lasting throughout the life cycle of the plants. Color can become a great new tool for your growing operation. Also, we showed the MPack vial; the first new pharmacy vial since the 50’s. This packaging is perfect for edible products, where child-resistant and tamper-evident packaging is required. 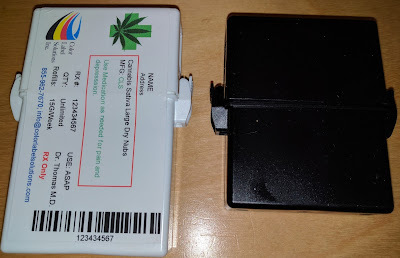 The clips on the sides of the MPack are relatively easy for adults to open. And with the addition of our label, the MPack becomes tamper evident. If you’re looking for child resistant, tamper-evident packaging, contact us to discuss. 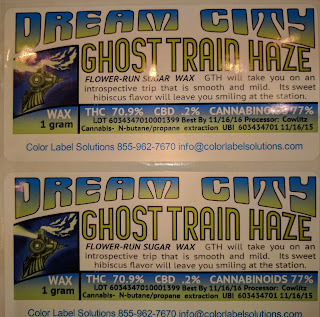 Finally, we started using our new URL just prior to the show: www.cannabislabel.solutions. 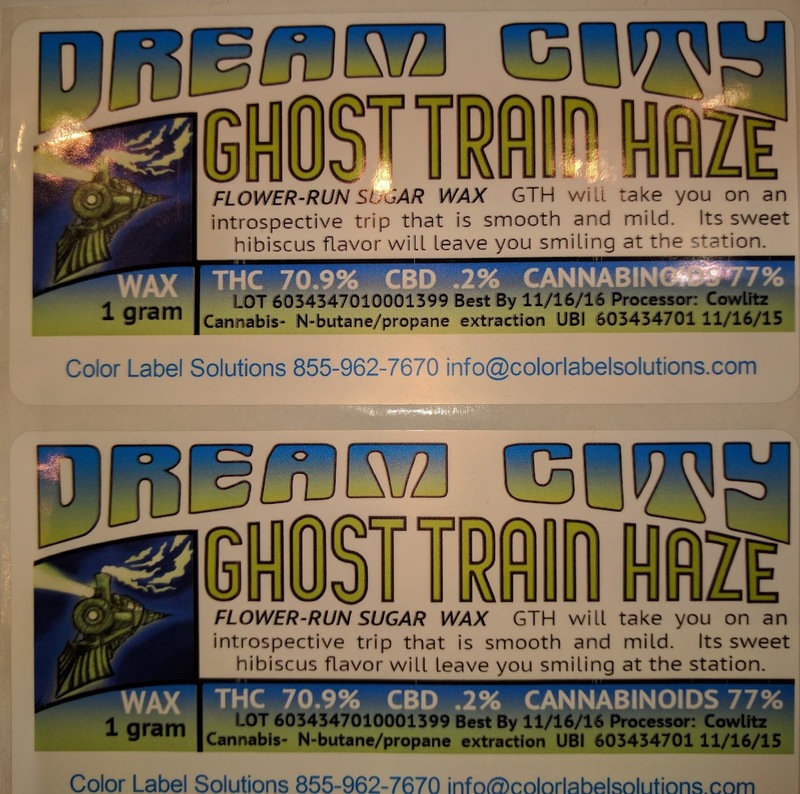 Check out our new page. The Seed To Sale Show was a valuable experience for us. If you could not attend this tradeshow but see something of interest, contact us to discuss how these tools will fit into your operation.